Located off the west coast of Scotland, Holy Isle has an ancient spiritual heritage stretching back to the 6th century. Our summer season runs from April to October and we welcome guests and day visitors during this time. 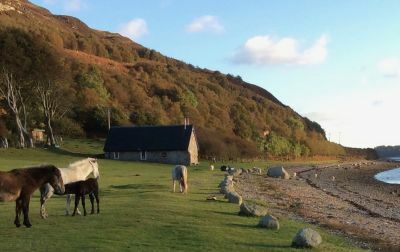 Discover the walks, sights and feral animals living on Holy Isle and enjoy the hospitality of our Information Centre in the old boathouse. The Isle is accessible to visitors, weather permitting, every day from April to October. There is always room for volunteers to help in a wide range of areas. Opportunities are available for volunteering part time for a few days, or full time for a couple of weeks or months, or a full season. 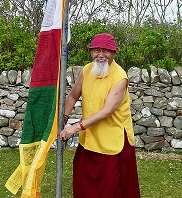 Receive regular updates on events on Holy Isle and news regarding it.